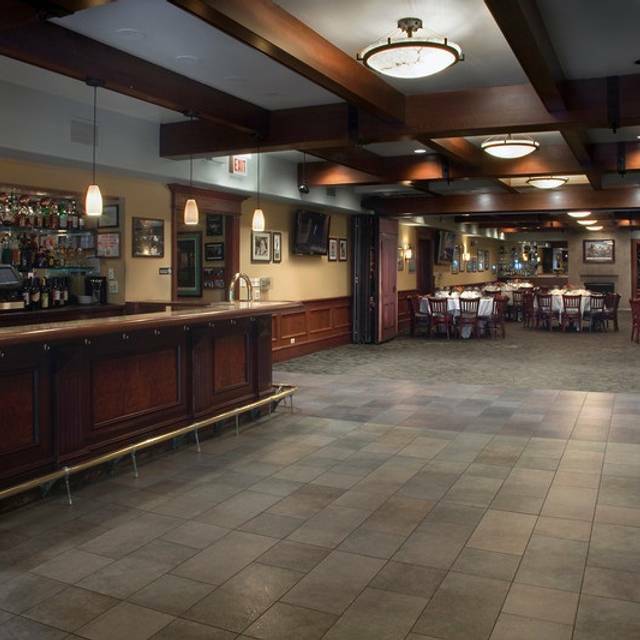 Ditka's Restaurant, located in the heart of Chicago's Gold Coast between Rush & Michigan, is a Chicago Landmark. 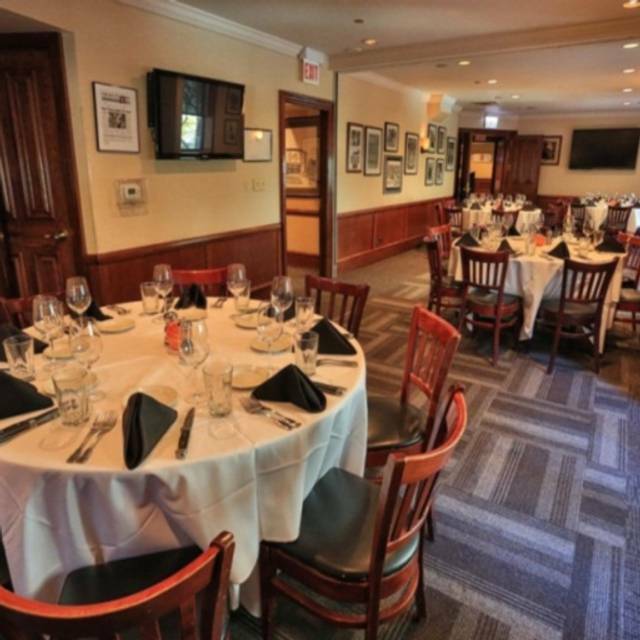 Ditka's has a decidedly understated sports motif, white linen table cloths, hardwood floors, intimate leather booths & rich mahogany wood accents. 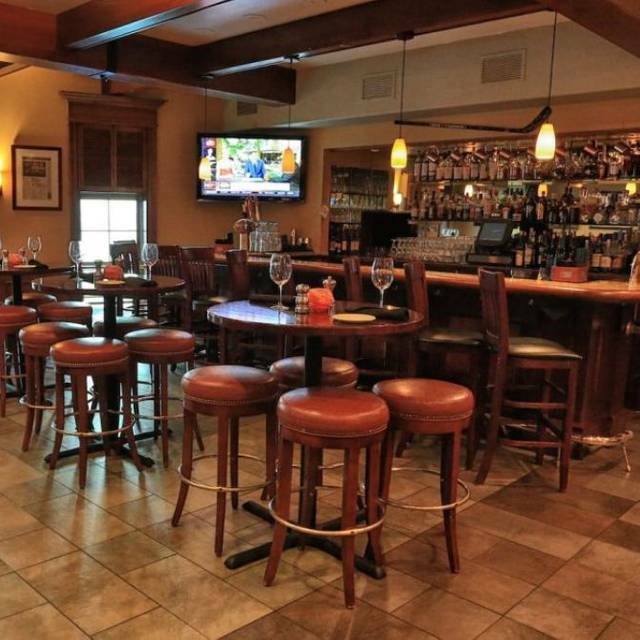 Known for Chops & Steaks including the signature dish "Da Pork Chop" along with a wide variety of fresh, sustainable seafood and contemporary American classics. The lunch menu is full of wonderful fresh salads, protein bowls & sandwiches including the "Best Burger in Chicago", the Fridge Burger. Service is approachable & friendly in a comfortable atmosphere. Don't be surprised to catch sight of Da Coach himself. We were there for our 22nd wedding anniversary and came especially to see John Vincent, who by the way as as phenomenal as we had hoped! However the service wasn't as great as we remembered when we celebrated our 6th wedding anniversary there. Our server who was good just wasn't attentive enough, he came by a couple times during the meal but steered clear while John was singing, however he attended to a couple tables around us. Though we do consider the whole evening as a positive experience, that won't keep us from coming back again. Hopefully we won't have a 16 year gap between visits! Service was outstanding. Food was great from the seafood appetizers to the banana cream pie & everything in between. Recommend the corn as a side dish! Great prices for the quality, in a laid back atmosphere. Excellent food at reasonable prices. The food was perfect to have lunch with my family everything was correct are waiter was great not hovering and there when needed. The food was excellent and the ambiance was pleasant desert was creme brulee with fresh berries delicious. Again you met my son and I's expectations of quality food, inpecable service, and a great atmosphere. We have come the last 15 years on special days in our families lives. 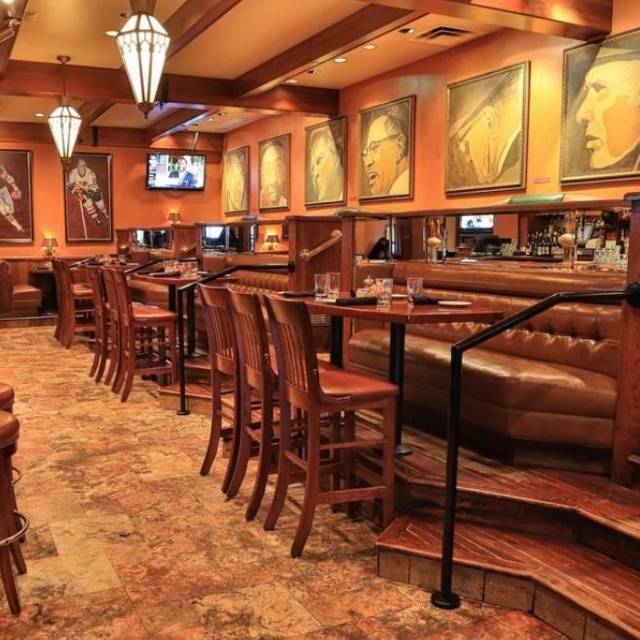 Ditka's has NEVER disappointed us and always becomes a family memory. Great food. Excellent service. Was in town visiting and was very pleased with the experience. Everyone in my group had steak. The steaks are great and the scallops are some of the best I’ve ever had. I recommend it. Food and service where excellent. Great food and great, friendly service - thank you! Best prime rib sandwich I’ve ever had! Great service and great food. The food was very good for the price. The clam chowder was poor. Mediocre flavor, somewhat watery and practically no clams. Portion very small. Canned chowder is significantly better. 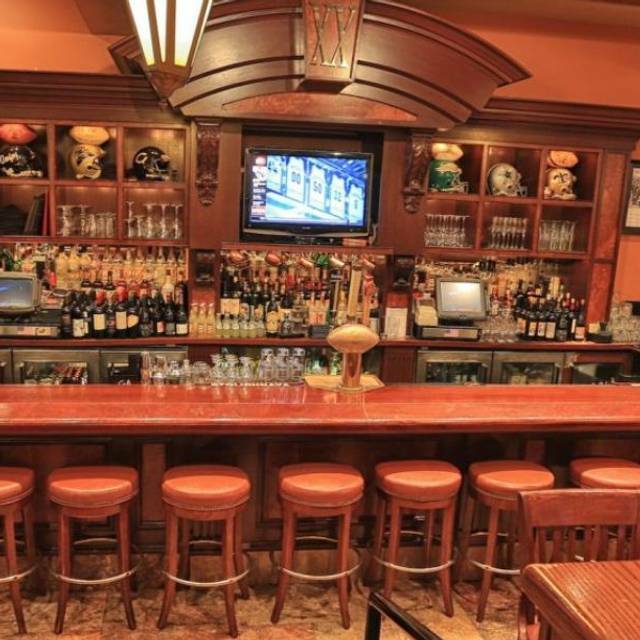 Ditka's is a favorite place for lunch. Intimate for both a small parties and great for larger groups!! They are so accommodating in every way from separate checks to alterations in the food options. The staff is the most congenital and helpful!! The food is great with many options for people with varying tastes. Perfect for dieters, vegans, meat eaters, any palette imaginable. The atmosphere is calm and it's easy to talk to friends without any interference. This is my favorite place for lunch. I must try it for dinner soon! A classic restaurant with fair prices. Great food, the shrimp gumbo was delicious and service was excellent. Excellent place for a business meal as there is no rush and it is quiet enough to have a quality conversation without the table next to you being involved. A true Chicago institution. Pot Road Nachos were awesome. Service was quite slow which is unusual otherwise, food is great! Great place to bring out of towners for a meal in the city. Da Chop and steaks were phenomenal as usual. Service was also exceptional. Great salad and sides to share as well. Good wine list, not overpriced. Completely enjoyed our meal, from the food to the staff. No complaints. Will visit again. 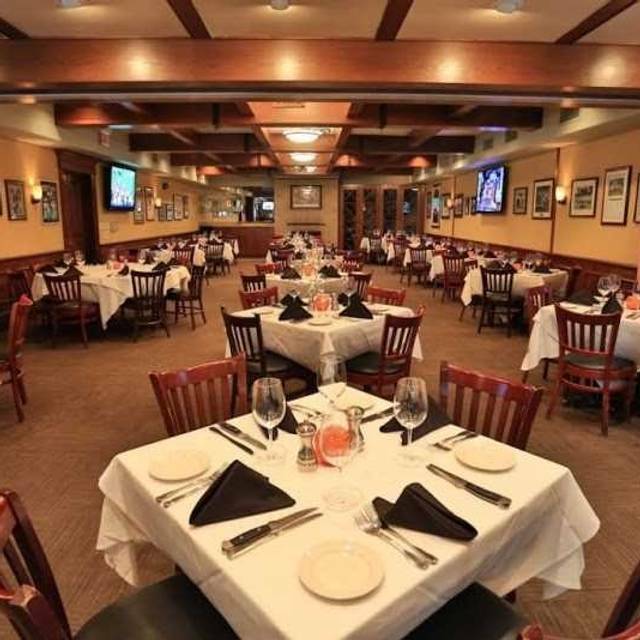 We visited Ditka's on Saturday evening for a surprise to my father who is an avid Bears fan and has always wanted to go to the restaurant. It did not disappoint. The service was great and food was outstanding. Three of us had steak and my mom ordered the prime rib which was out of this world delicious and I do not usually care for prime rib! I had the filet mignon and my father had the rib eye as well as my husband. They raved about the flavor! I would highly recommend this restaurant! Our server Kyle was amazing. Very on top of our needs without being pushy. Food was delish! Truly enjoyed our Friday evening at Ditka’s! Legendary restaurant in Gold Coast section of downtown Chicago. 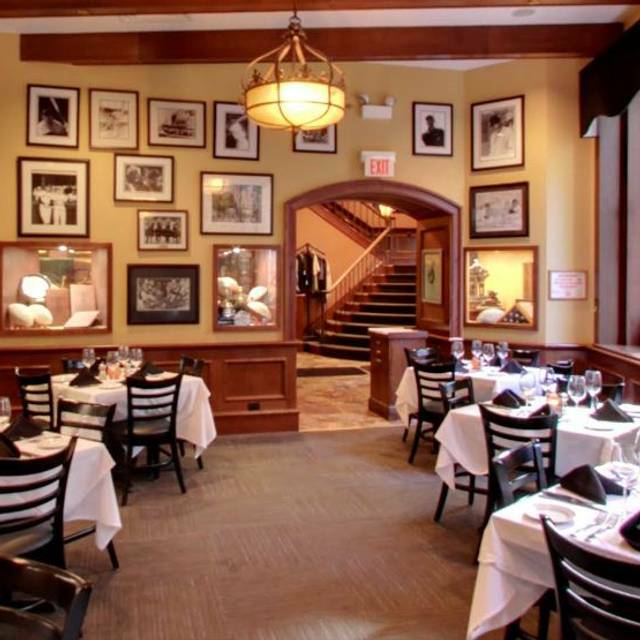 Memorabilia sets the mood, comfortable space at each table. Top drawer service and delicious food. Really good steaks. We were a party of 4. Two guests had the Dry Aged Ribeye. One had the Delmonico. I had the 10 oz Filet. All were cooked perfectly. Sides were all great. A couple bottles of nice French Bordeaux moved things along nicely. (Suggestion to Management: Think about adding some Spanish selections to the wine list. There are so many great Spanish wines that work well with steaks). We had no room for dessert. Prices were a bit more reasonable than some of the other various top steakhouses in Chicago. Our server was amazing. I would definitely repeat during my next visit to Chicago. Our server, Neal was awesome. Food was great. Half price bottle of wine on Fridays during Lent! Had dinner here before a Hawks game and loved it! The food was amazing the wait staff fantastic and the atmosphere just perfect for a nice dinner. 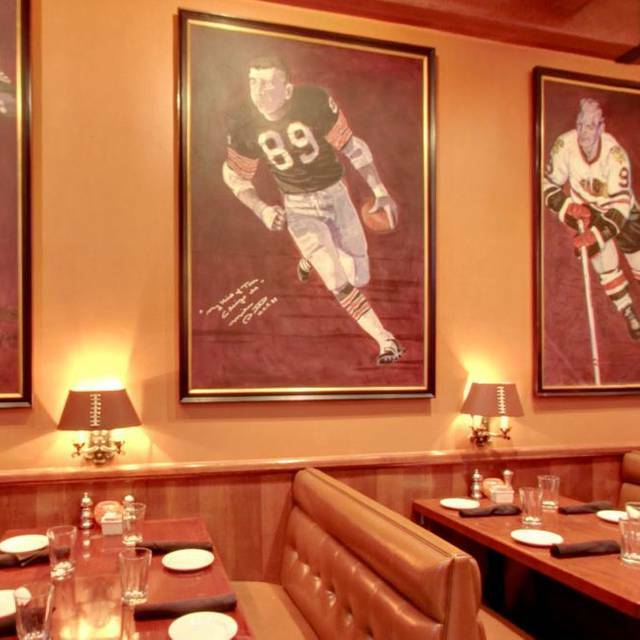 I would thoroughly recommend Ditkas to anyone looking for a great place for a meal in Chicago! Will definitely be back again. Great vacation in Chicago with the highlight meal at Ditka's. Our food was absolutely fantastic and our service was spectacular. A very enjoyable experience. The food was amazing, the service was impeccable. The only issue was the noise - we were seated right next to a table of 10-12 men at a business dinner who were obnoxiously loud. Not the restaurants’ fault they were so rude and inconsiderate of the patrons around them, but it soured an otherwise wonderful experience. Food was excellent. Service fast. The singer (Big John) upstairs tremendous. Everything was better than we expected! Saturday night dinner with the family - sat in the bar area so we could watch NCAA games. Prime Rib and Filet was outstanding - sides (Lobster Mac and Cheese) well worth the calories. Of all of the steak places I've been to over the years while traveling, Ditka's stands out on top. Excellent service and atmosphere. Prices are very good for the quality of food. Cannot wait to come back. Awesome experience. The food was terrific. Had the meatloaf - was on a jalapeño cornbread base with potatoes on top. Best I’ve ever had. Great service and the environment was terrific. Will visit again next time we are downtown. The food was out of this world! Tuna poke appetizer was so delicious, I would’ve been happy had that been my whole meal. I got the scallops with king crab risotto and corn cream sauce.... literally the best meal I’ve ever had!!! Wonderful meal from start to finish. Great waiter. Carlos in the bar is the best! Great food and great atmosphere. We love it. Food was great, ambiance reminiscent of old Chicago and, of course, “da bears”! Pork chops ( house specialty) were both artistic and tasty. We’ll be back! The World’s best Pork Chops! 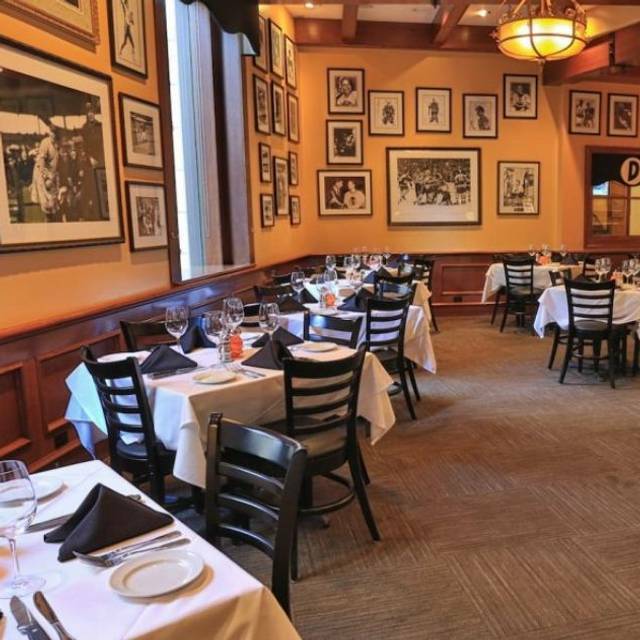 The restaurant is a Sports museum and great atmosphere, owned by a living legend. My "go-to" steakhouse when in Chicago... I can't even imagine how the meal could have been better tonight.